Phillip has over 15 years of experience with protein and antibody engineering. 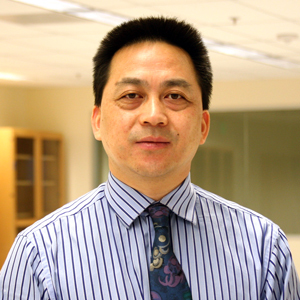 Prior to founding Sound Biologics, Dr. Liu was a Senior Scientist at Amgen. In his 13years at Amgen, some of his key accomplishments include asymmetrical Fc engineering for ADCC enhancement and novel strategy to generate heterodimeric bispecific antibodies. Prior to his tenure at Amgen, he was a Senior Research Fellow at University of Washington and a Research Fellow at New York Blood Center. Prior to that he was an assistant professor at XiangYa Medical College of Central-South University in China. Dr. Liu has a M.D. from XiangYa Medical College.